Cadillac takes a lot of pride in its vehicle line. As a luxury brand, the company takes great care when designing a new model. Every square inch of a car like the CTS, for example, is carefully crafted, examined, and tested to make sure the big picture comes together to create something truly unique. After all, luxury cars aren’t cheap. Customers looking to buy an expensive car will have high expectations that need to be met. The Cadillac CTS is one such model that the company has spent a lot of time and focus in developing a standout performer from their lineup. Introduced in 2003, this is a midsize luxury car that offers a variety of styles and options you will rarely find in other models. This makes the car a good choice for people wanting to stand out while also getting the performance and reliability they need from a family or personal vehicle. The second generation, starting in 2008, drastically expanded the design and trim options of the CTS. Previously, the car was only available as a four-door coupe. Starting with the second generation, customers could now choose between the standard four-door design, a two-door coupe (from 2011), or a station wagon with expanded cargo space (from 2010). The 2008-2014 Cadillac CTS also packed a lot of power under the hood. Offering two engine options, both motors relied on six cylinders to offer a range of horsepower that expanded from 263 to 318 horsepower over the six years of the generation’s lifespan. Drivetrain options included a standard rear-wheel drive with an optional all-wheel drivetrain for people wanting more traction in challenging driving conditions out on the road. On the used market, it is easy to find some quality CTS options from this generation. Since the earliest models are just over a decade old, you can expect to find a range of conditions from 2008 and 2009 used models depending on how much the car was maintained and driven. Later model years, such as 2012-2014, will often have more advanced safety and convenience features, along with lighter engine options that increased power and performance. Keep in mind that the last model year (2014) only included the two-door and five-door CTS body styles since the four-door sedan moved on to start the third generation. The 2008 redesign of the Cadillac CTS introduced a whole new body style, engine options, and trims to the previous generation. This made the model more versatile and updated with new, more intelligent safety and convenience features and capabilities. Many of these changes brought the car in line with the competition, making it more powerful and safer while retaining the signature Cadillac luxury touches. The new generation had a larger profile compared to the first generation. Coming in at 191 inches in length and 72 inches in width, the CTS offered more space for passengers and cargo. The larger profile also slightly altered the driving characteristics of the vehicle. On the exterior, the new redesign featured an updated front grille, slimmed head and rear lights, and larger wheels. This model year used the basic engine option from the first generation. A 3.6L LY7 V6 drove the larger chassis and offered around 263 horsepower and 270 pound-feet of torque. Other performance upgrades focused on the general handling of the car. New brakes and GM’s Stabilitrak ECS system made the car more responsive in conditions where traction was less than ideal. On the inside, the car featured a number of intelligent safety and convenience features. A new tire monitoring system, optional navigation system with real-time weather and traffic updates, remote start capability, and upgraded sound system were all added to enhance the interior experience of the car. Much of the 2009 CTS model remained the same from the previous year. For people wanting some extra power under the hood, the optional V6 added a direct fuel injection to raise the horsepower from 263 to 304 hp. This made the engine the perfect option for people who couldn’t afford or didn’t need the extra 556 horsepower from the more expensive V8 option on the CTS-V. Some minor but important updates came to the CTS in 2010. The most significant change was the addition of the CTS Sport Wagon, a wagon-style design upgrade that turned the once-four-door vehicle into a five-door cargo hauler. A new base engine also came with the minor facelift. A 3.0L V6 brought in 270 horsepower, a minor upgrade over the previous engine model without a drastic decrease in overall fuel efficiency. 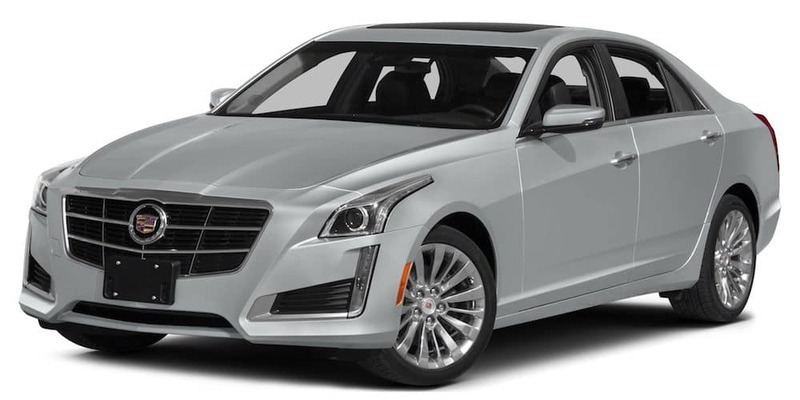 Much like 2010, the CTS 2011 model continued to expand the CTS style line with yet another addition. Joining the four-door sedan and five-door wagon, GM decided to include a smaller two-door coupe for families who didn’t need the large amount of interior space the previous styles had offered. Combined with the model’s rear wheel drive, the new style made the car more maneuverable on the roads. Coming in with a slight facelift, the CTS 2012 added minor accents of change to the exterior of the vehicle. The front grille was given a larger presence with more verticality. The optional 3.6L V6 engine was designed with lighter, more advanced materials to decrease weight. This increased the overall performance and power output to 318 horsepower compared to the previous year’s 270 hp. New technology and upgrade features were offered as well, including a new 10-speaker Bose stereo system. As the final year for the second generation CTS, the 2013 model lacked any significant upgrades to the exterior and interior offerings. The same engine options, the 3.0L, and 3.6L V6 engines, were available depending on the specific trim level. The three styles, a two- or four-door sedan and five-door wagon, also remained the same. 2014 was a year of transition for the CTS line. The four-door sedan moved onto the third generation redesign, which completely changed the look and engine offerings to modernize the CTS line. The two-door coupe and five-door station wagon versions, however, continued on for one more model year. These style versions offered the same engines, drivetrains, trims, and upgrade packages as the previous generations. This would also be the last year for these body styles. Come Visit Us, at McCluskey Automotive! McCluskey Auto has everything you need to find the best new or used vehicle you want to get you around town on the daily commute. From cars, SUVs, and trucks, our inventory is filled with high quality new and used options you can check out and test drive anytime you want. Our helpful staff will also be on hand when you visit to answer any questions or to provide guidance when deciding which vehicle options to consider. Need extra help or service? We have you covered as well. When you need to explore your payment options, our financing department can help you out with a one-on-one meeting where we will sit down with you, review your financial history, and lay out all of the options on the table. We make it easy to find the right vehicle you need in a way that will be manageable and affordable. That is the McCluskey promise that drives every single sale we make. If you are looking for a used Cadillac CTS for sale, come down today to start your search with us.